Join us for a 30 minute introductory flight and enjoy spectacular aerial views of the stunning countryside. View the beauty and tranquility of the Magaliesberg. Relax and absorb the peaceful nature of the African cliffs and bush and experience the ultimate with a micro light flight! Aerospace admirers will enjoy a safety brief followed by the flight – just enough to get the adrenalin pumping before landing with your feet firmly on the ground. During the late 1970s and early 1980s, many people sought to be able to fly affordably. As a result, many aviation authorities set up definitions of lightweight, slow-flying aero planes that could be subject to minimum regulation. The resulting aero planes are commonly called ultra light or micro light, although the weight and speed limits are rarely the same between any two countries. In most affluent countries, micro lights or ultra lights now account for about 20% of the civil aircraft fleet. Ultra light/micro light aircraft were once regarded as "flying clotheslines", since early aircraft were typically completely open, wire, tube and rag aircraft – these aircraft were seldom used for anything more than local area flying. However, ultra lights are rapidly transforming into high performance aircraft, capable of very respectable speed and range. In recent years there has been a dramatic rise in the number of General Aviation. Availability: Available on weekends only. Who: No experience or fitness level required. There is a weight limit of 100kgs. Numbers: This experience is for 1 person. Weather: This experience is weather permitting. What to take: Dress for the weather, tie back long hair, wear closed and flat shoes, take the necessary sun precautions, your camera and bottled water. A flight suit and helmet will be provided. Duration: Allow 30 minutes for the flight. Longer flights can be arranged on request. Additional Information: Indemnity forms will require participant sign off prior to departure. 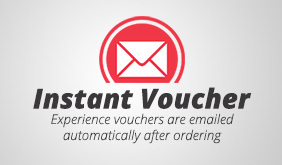 This experience includes an e-voucher. What a experience, thank you Marius for a unforgettable experience. through the cold of the June morning you still made it one of the most incredible experiences I ever had. I will come back any time. Just wanted to say thank you for organising and keeping in contact and arranging for this incredible experience. To Marius… Thanks to you and Henry for being such fabulous hosts and pilots. It was an exhilarating experience and something we will always keep with us. Thanks again to all.